A necessary counterpart to your in-ground pool's filtration system is a quality pool vacuum cleaner. Much like your indoor vacuum, an in-ground pool vacuum gives greater attention to surface areas and provides a deeper, more complete cleanse. Insects, twigs, leaves, you name it - any pool debris that doesn't quite make it to the filter will be picked up by the pool vacuum, which leaves nothing but a polished and tidy pool surface behind. The variables to consider before purchasing an in-ground pool cleaner include the shape and depth of your pool. Also, if your in-ground swimming pool is located near several trees (such as pine) you may need a vacuum with a large vacuum bag or leaf canister to accommodate all of the leaves or pine needles. There are a lot of different kinds of pool cleaners as well. We offer a great selection of in-ground robotic cleaners, in-ground suction cleaners, in-ground pressure cleaners, and handheld pool vacuums for in-ground pools, all of which have varying price points to meet your budget. Doheny's Pool Supplies Fast is dedicated to offering the best in-ground pool cleaners at the best possible value. 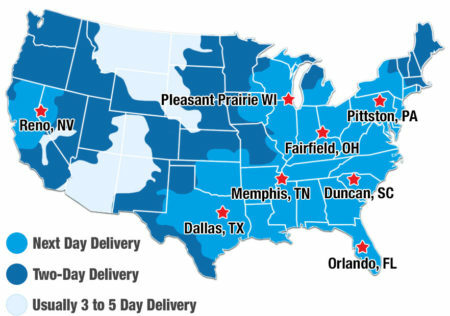 That's why we guarantee to have the lowest price and provide complimentary shipping, including next-day shipping, on all of our in ground pool cleaners.